New York World, April 1895. For many folks, summer means…baseball! And you know what? That was true in the 1890s, too, when the sport was in its second full decade. Rule changes and refinements during this time helped shape the sport into a closer approximation of the game we now know. For more about the specifics, check out this baseball history guide. Bubblegum baseball cards were popular when I was growing up in the 70s. It wasn’t too tough for kids to do an extra chore or scour some change out of the sofa to buy a pack: 16 cards, with a stick of bubblegum inside! Cool! 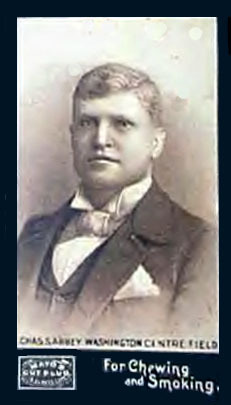 Amos Rusie, pitcher, New York Giants, 1895. 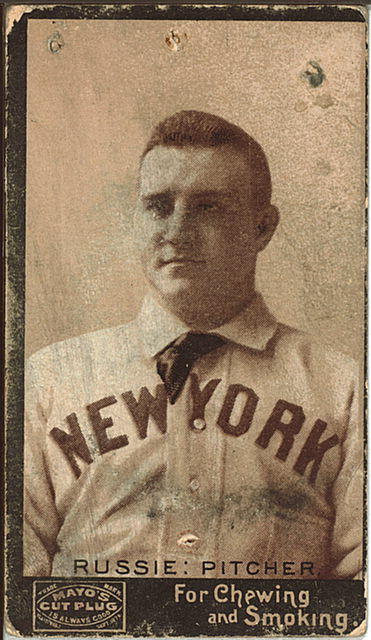 Bill Joyce, centerfield, Washington Senators, 1895. 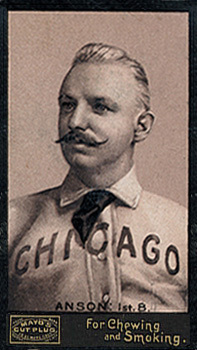 Cap Anson, first base (though the Baseball Reference site has him down as manager), Chicago Colts, 1895. 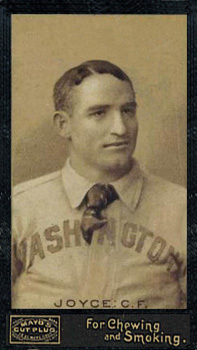 Charlie Abbey, centerfield, Washington Senators, 1895. By the way, in case you’re curious about how the teams above did in the 1895 season, the Washington Senators finished 10th, the New York Giants finished 9th, and the Chicago Colts finished 4th. The Baltimore Orioles finished in 1st place that year. The site Baseball Reference has kindly made its table available, so if you’re a statistics geek and love getting into the trenches, check it out below. If it doesn’t display, the hyperlink will get you there. Enjoy! Do you collect baseball cards, or enjoy America’s Pastime? I’d love to hear from you. P.S. – Wonder why I’m talking about baseball? Well, there might a a tenuous connection to the next Concordia novel! Stay tuned…. Yes, I must have gotten your vibe, Katey, LOL. Sorry to make you wait…I’m hard at work on it, though! Thanks so much for keeping track of me! Yay! Baltimore Orioles. My home team! Can’t wait for the new Concordia book, and now I am totally intrigued re: the baseball connection. I blame my hubby, the huge baseball fan of the family! Thanks so much for stopping by, Kass! Wow – baseball was a big hit when the Baer family lived in the Baer House! Cool! I wonder if they collected baseball cards or if Mr. Baer sold that tobacco at his store? Hmmmm. And, interesting that the guys were wearing ties, even with their uniforms. Times are sure different now huh? As always, fun stuff Miss Kathy. It would not surprise me if they did, Patricia! It would be cool to delve into that…you are surrounded by amazing history!